 City of Wodonga council wants to hear from the community on their vision for, or a connection to, Gateway Island? The council is undertaking a review of the Gateway Island Master Plan and wants to hear from residents about what they value and what they see as the future for the island. Wodonga Mayor Cr Anna Speedie will launch the project on Tuesday, February 6, calling on all people in the district with an interest in Gateway Island to provide input. Gateway Island, located on the Murray River flood plain, connects Wodonga and Albury and is used by many different groups and individuals. For the purposes of the master plan review project, the island has been divided into six precincts: Village, Diamond Park, Events area, Gateway Lakes, Grazing land and Lincoln Causeway. “We are looking for input on all these precincts. Some are used for recreation like cycling or dragonboat racing, other parts are enjoyed for the natural environment, history, arts and cultural aspects or events that are staged there. We also want to receive ideas for possible commercial or tourism opportunities,” Cr Speedie said.  The completed project is also referenced as an action in the Two Cities One Community Action Plan and AlburyCity is supporting the call for district residents to get involved. People can provide input online and in person, including attending an Open House event or submitting photos of what they value about Gateway Island via a social media campaign using the hashtag #MyGatewayIsland. On Tuesday, February 20, an Open House will be held at The Butter Factory Theatre from 2.30pm to 8.30pm. The project team will be there to provide information and discuss ideas. People can arrive at any time during these hours and stay for as little or much time as they have available. A second Open House will be held on Wednesday, March 7 at the Bluestone Cottage, La Maison Cafe. There will also be displays in the Wodonga and Albury libraries, Felltimber and Baranduda community centres and Wodonga and Albury council offices. All the project information can be found at the council's Make Wodonga Yours site. The community have until March 19 to provide their input.